Marine renewable energy devices, be they wave, current or wind, are exposed to an incredibly hostile and complex environment. Accurate prediction of extreme loading events on marine renewable devices and their implications for survivability and operating limits remains an extremely challenging and in many ways unsolved problem. This proposal is aimed at bridging the gap between the hydrodynamic loads that actually occur on real devices and what can be predicted using current engineering best practice. The call stressed three main areas: the environment, device survivability and limiting operating conditions. We aim to achieve fundamental improvements in the scientific description of the environment with improved models for device loads, linking scientific advances seamlessly to their impact on device design. The proposed work builds on the experience and track record of the investigators: Taylor and Willden at Oxford, Zang at Bath, and Buldakov, Drake and Simons at UCL. The use of focussed wave groups will aid greatly in the repeatability of the physical experiments. 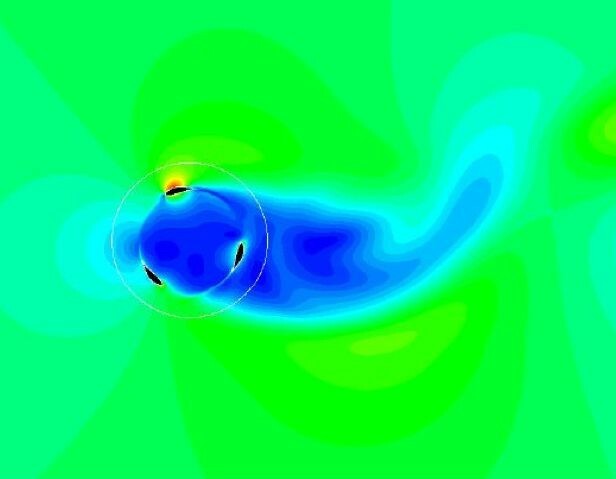 It will also be a great advantage for the modelling studies in that relatively short timescale loading events can be simulated with high fidelity without requiring inordinately long simulation times.